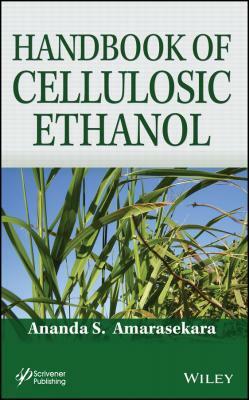 Handbook of Cellulosic Ethanol. Ananda Amarasekara S.
Автор произведения Ananda Amarasekara S.
Comprehensive coverage on the growing science and technology of producing ethanol from the world's abundant cellulosic biomass The inevitable decline in petroleum reserves and its impact on gasoline prices, combined with climate change concerns, have contributed to current interest in renewable fuels. Bioethanol is the most successful renewable transport fuel—with corn and sugarcane ethanol currently in wide use as blend-in fuels in the United States, Brazil, and a few other countries. However, there are a number of major drawbacks in these first-generation biofuels, such as their effect on food prices, net energy balance, and poor greenhouse gas mitigation. Alternatively, cellulosic ethanol can be produced from abundant lignocellulosic biomass forms such as agricultural or municipal wastes, forest residues, fast growing trees, or grasses grown in marginal lands, and should be producible in substantial amounts to meet growing global energy demand. 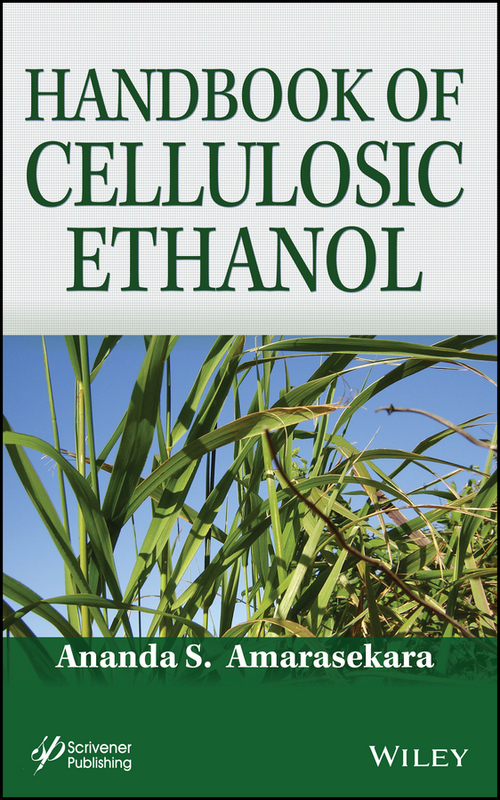 The Handbook of Cellulosic Ethanol covers all aspects of this new and vital alternative fuel source, providing readers with the background, scientific theory, and recent research progress in producing cellulosic ethanol via different biochemical routes, as well as future directions. The seventeen chapters include information on: Advantages of cellulosic ethanol over first-generation ethanol as a transportation fuel Various biomass feedstocks that can be used to make cellulosic ethanol Details of the aqueous phase or cellulolysis route, pretreatment, enzyme or acid saccharification, fermentation, simultaneous saccharification fermentation, consolidated bioprocessing, genetically modified microorganisms, and yeasts Details of the syngas fermentation or thermochemical route, gasifiers, syngas cleaning, microorganisms for syngas fermentation, and chemical catalysts for syngas-to-ethanol conversion Distillation and dehydration to fuel-grade ethanol Techno-economical aspects and the future of cellulosic ethanol Readership Chemical engineers, chemists, and technicians working on renewable energy and fuels in industry, research institutions, and universities. The Handbook can also be used by students interested in biofuels and renewable energy issues.